We climbed Cirque Peak today (as a group of 6), up Helen Creek, down the north couloir, and out Jimmy Simpson Creek (between Cirque Peak and Observation Sub-Peak). Fast travel up, with good step kicking in firm wind affected snow on the upper south ridge. 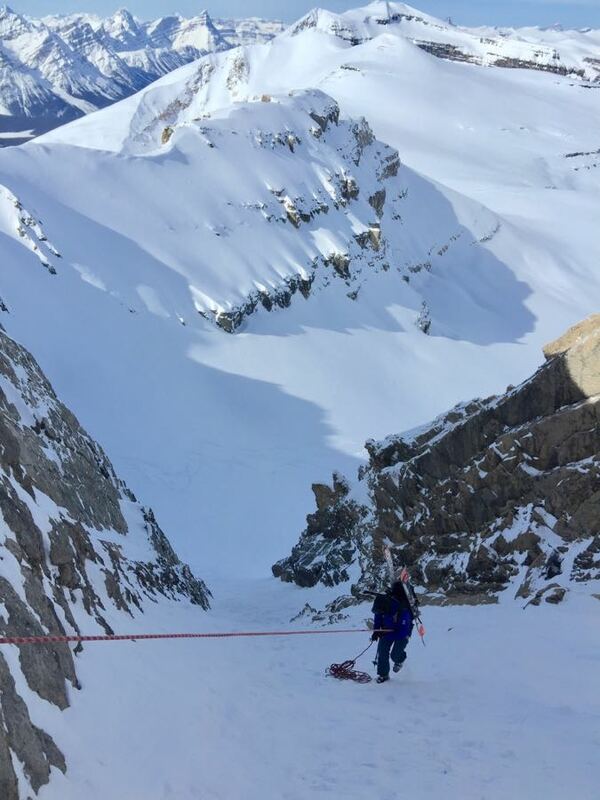 I recommend a 40m rappel down the north couloir if you want to get past the scrappy rock and steep snow to a good place to dig a platform to put your skis on. We made a 30m rappel work for the last person down, but I think it is worth carrying two 40m ropes to allow for a clean lower/rappel. 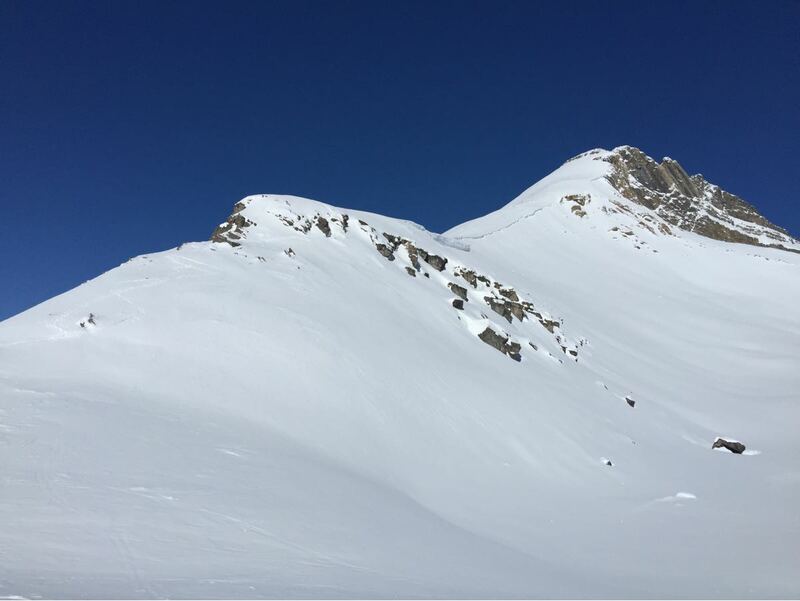 There is actually enough snow to ski the upper 20m or so of the couloir, but there is a 10m section of mixed rock and snow below that. One anchor bolt could use a tighten if you want to bring a wrench. 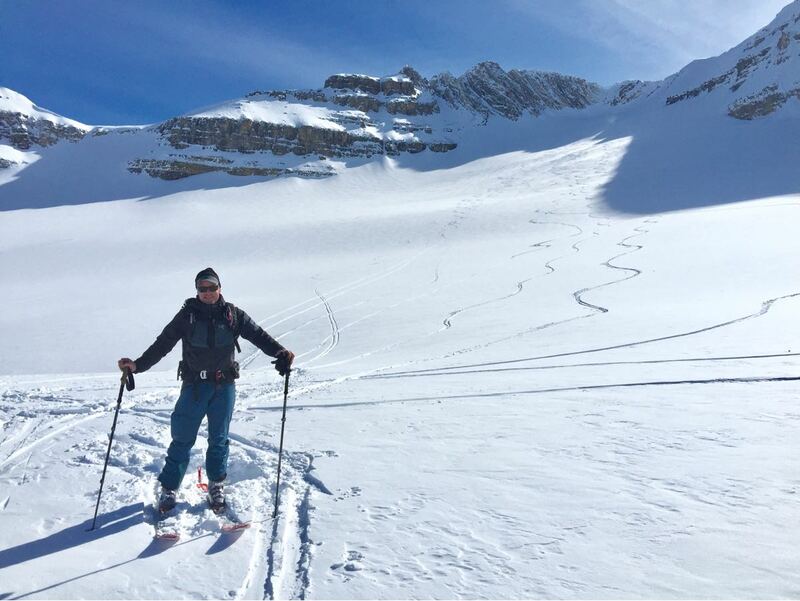 We had quite good ski quality on the descent. There are lots of tracks in the final trees before you get to the highway. It would be nice to see some fresh snow. No avalanche activity noted. Sunshine, light wind and the temperature remaining cool made for a pleasant day.